If you're planning a visit to Japan's ancient capital, check out this list of unique, Kyoto-only experiences! 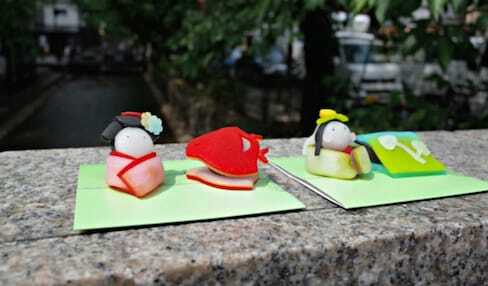 While coming across an actual geisha or 'maiko' apprentice is pretty rare in Japan's ancient capital of Kyoto, you can meet and eat a geisha-shaped sweet. There's an air of mystery surrounding geisha, and what they really are. Are they cultural ambassadors? Are they elite mistresses? When can one become a geisha? This list may just answer a few questions lingering in your mind. From rabbit cafés to sumo tournaments and everything in between, these are the top recommendations from Veltra's adventurous staff to make the most of your trip to Japan's capital! Get tips and local knowledge from Kyoto-obsessed travelers, from must-see spots to unforgettable food. The “flower town” district of Gion in Kyoto is where geiko and maiko in glamorous kimono enchant people with their talents, elegance and grace. One geiko in particular shines through her use of two languages; a unique dialect of Japanese, and English. Looking for things to do around Hakone? 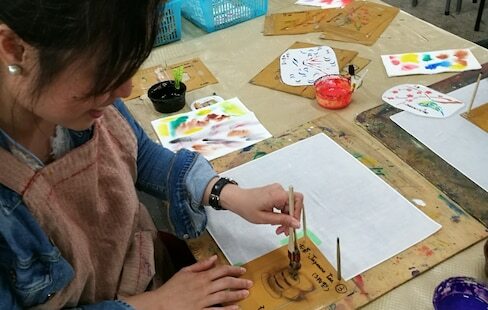 If you want to get into traditional Japanese culture, two popular activities are geisha performances and traditional local handicrafts. 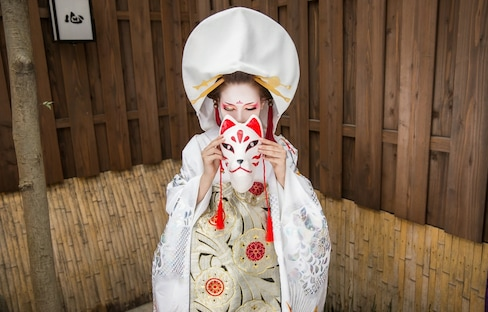 Ever wanted to try out the glamour of a Kyoto 'oiran'? This studio will give you a gorgeous makeover! So just who are these mysterious geisha, and how do you meet them? Having spent time with geisha in Kyoto, we can help you unveil their mystery! Swish the camera around and take a virtual tour of famous sightseeing spots as if you were in Japan, all in the comfort of your own home. A Buddhist monk shares his religion through cooking and cookbooks. One of Japan’s best-kept secrets, Kanazawa is a beautiful city famous for its rich culture and history, including areas frequented by geisha and samurai. These five videos will instantly transport you to some of the most vivid temples and shrines in Japan! 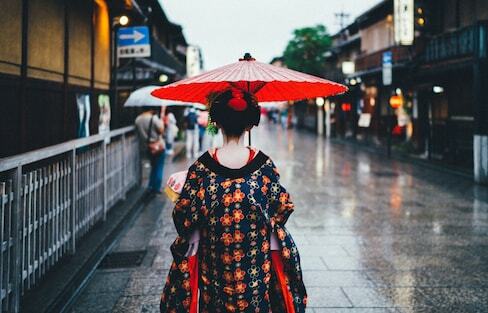 From private dinners with maiko to evening walks to catch a glimpse of the famous entertainers, get the lowdown on the various ways you can meet Kyoto's renowned geisha! Dress up like a maiko, geisha or samurai in Kyoto, where you’ll discover the traditional landscape of a classic Japanese city. Have you ever wondered why geisha paint their face white, or who dresses a geisha? Well, be prepared to drop some knowledge on your friends about the whimsical world of geisha.